What is the Painterly pack? The Painterly Pack is a native-resolution Minecraft resource pack which seeks to improve the graphics of the game, using a mix of new takes on items and blocks, and re-imagined textures drawn in the spirit of the original game. Painterly Pack also famously features a Customizer, which allows a user to create a unique texture pack of his or her own design, drawing from a pool of over 10,000 textures and graphics developed over several years. Get started by clicking the customizer link below to make your Minecraft look the way YOU want it to look, or download the Definitive Painterly Pack for a ready-made comprehensive pack featuring some of my favourite textures, updated and tweaked to work together even better than ever. While the Painterly Pack is free, a great deal of time, effort, and testing have gone into the creation of Painterly - any and all donations are greatly appreciated. The Definitive Painterly Pack is a collection of many of my favourite textures, balanced carefully with textures picked to keep items recognizable, and textures drawn, re-drawn, or updated specifically for this version of the pack, so that everything looks as good together as it possibly can! While I no longer have time to devote to the Customizer like I used to, the Definitive pack allows me to still keep a version of the pack updated for newer versions of the game. 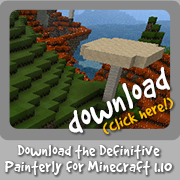 The Definitive Painterly Pack is fully assembled and ready to go for use in Minecraft 1.10 - simply download the zip, drop it into your resource pack folder, and then select it using the in game menu option. Check out previews of the pack HERE and HERE! 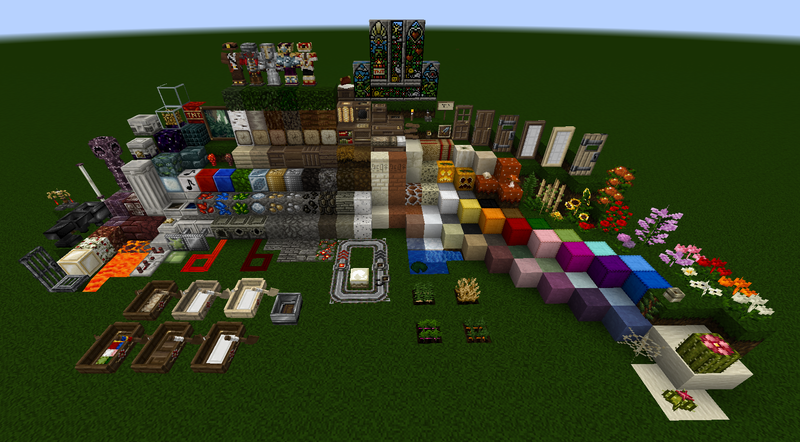 The Customizer is updated up to Minecraft 1.08, and is probably Painterly Pack's biggest claim to fame! The Customizer page allows you to select from a library of thousands of options spread between nearly every single monster, block, item, and gui element in the game to create a pack with a unique look all your own. 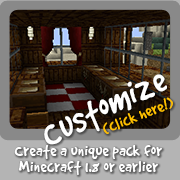 When you're finished, just click the button that says 'Create my Painterly Pack!' and it will automatically generate a zip file that you can drop directly into your resource pack folder. Select the zip from the in-game option menu and you're good to go! Each customized pack contains a password file which allows you to load it back into the customizer later for further editing - just click the link on the customizer page for instructions. 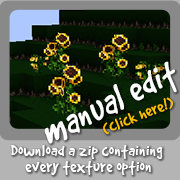 For those who want to manually edit their pack, wish to use combinations of textures not available in the standard Customizer, require specific textures for mods, or just want a giant pile of pixel art, this version of the pack is available. 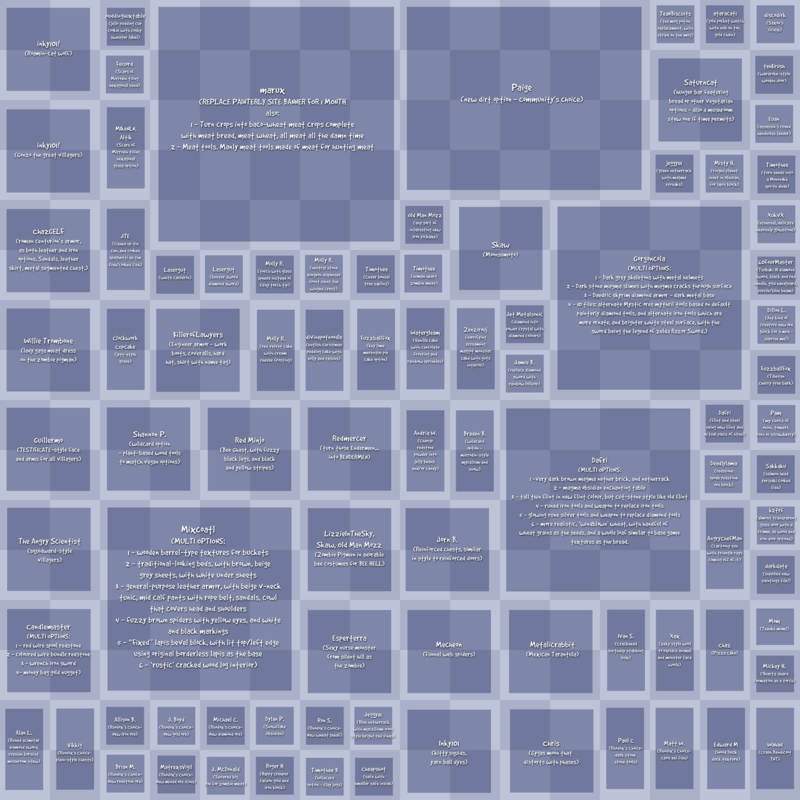 The pack functions as a standard Definitive Painterly Pack resource pack, but also contains an 'alternates' folder with all the unused graphics sorted and labelled in one place. As a word of warning - there are a LOT of graphics, so this download is over 60 megs! You may use the Painterly Pack with an official liscenced copy of Minecraft only. Unless you have permission from me, please do not use Painterly graphics for public release mods or resource packs. You may use the Painterly Pack for your servers, videos, artwork, screenshots and streaming without asking permission, but if you do, I'd appreciate if you included a credit and link to the Painterly page where you are hosting that material. You may not use any part of this pack for commercial purposes (i.e. selling, soliciting donations, hosting pack materials behind a paywall or adwall) without permission, though incidental ad revenue from streaming/YouTube/reviews or similar for your Minecraft videos/articles is fine. When in doubt, please ask. I can be reached through rhodox@painterlypack.net for questions or comments. DO NOT send me requests for new textures or reskins, and please check the site and Twitter to see if your question is addressed before asking. Due to the volume of mail I recieve I can't reach everyone - apologies if I am unable to respond to your comment personally. Thank you in advance.